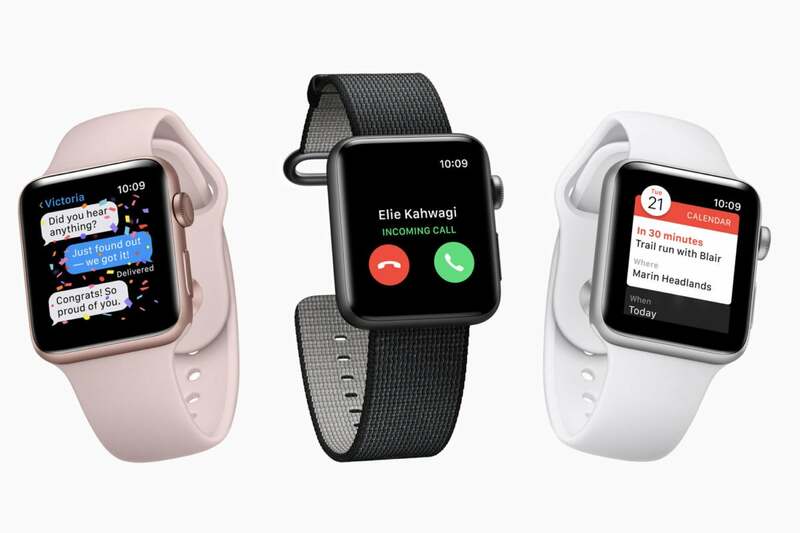 According to a new report, Apple will release an LTE and non-LTE version of the Apple Watch Series 3. Update 9/11/17: The iOS 11 GM has revealed a new image in the Watch app that seemingly shows the new LTE model. Apple might have one more trick up its sleeve at its annual fall event. While we’re all waiting for a brand new iPhone that will reportedly bring a brand new design, wireless charging, and AR capabilities, it seems as though Apple is also working on an LTE-enabled Apple Watch Series 3 that will bring phone independence once and for all. According to a report by Bloomberg’s Mark Gurman, “at least some new Apple Watch models” this year will come equipped with LTE chips “planned for release by the end of the year.” That would allow users to receive notifications and phone calls without having an iPhone nearby, as well as download music and use third-party apps. In addition, Kuo also predicted that the cellular version of the Apple Watch Series 3 will only support LTE, not 3G connections. Originally, Bloomberg reported that Intel will be supplying the LTE chips for the new watch, a continuation of Apple’s quest for separation from Qualcomm as its primary modem supplier. Apple began using Intel modems for some iPhone 7 models in an effort to reduce its reliance on Qualcomm. The two companies are engaged in a contentious court battle over patent infringement and royalties. Bloomberg says that Apple is already engaged in talks with carriers in the U.S. and Europe about plans to sell an LTE-enabled Apple Watch, with AT&T, Verizon, and T-Mobile reportedly on board. All three carriers already offer watch plans, with Verizon and T-Mobile charging $5 a month, and AT&T tacking on an extra $10 to your monthly bill. An analysis of the HomePod firmware, which revealed several secrets about the new iPhone, shows many new workouts available inside Apple Watch, including basketball, bowling, cricket, curling, dance, equestrian sports, fencing, fishing, golf, jump rope, kickboxing, lacrosse, pilates, skiing, surfing, and snow sports. The current version of the Workout app is limited to a few exercise categories: walk, run, cycle, swim, elliptical, rower, and stair stepper. There's also an "other" option that includes many of these sports, but it's just a label and they are not officially supported or tracked by the app. Additionally, 9to5Mac has gotten its hands on the iOS 11 GM, and it has spotted a new image in the Watch app that presumably shows the new LTE watch. The image shows a watch that looks very similar to the existing model with two distinct changes: a cellular status indicator complication and a new red dot on the Digital Crown. The site also found references to new colors, namely blush gold aluminum (which would match the rumored new iPhone X color) and ceramic gray. Apple is reportedly planning to release a non-LTE model of the Apple Watch Series 3 at its Sept. 12 iPhone event. According to a new note from analyst Ming-Chi Kuo of KGI Securities, the new Apple Watch models will sport a similar form factor as current generations with built-in LTE being the only differentiating feature, despite Daring Fireball’s Jon Gruber's comment about “all-new form factor." Apple updated its watch last fall with GPS and water resistance, but the design of Apple Watch hasn’t changed since it was originally unveiled in September 2014. The company is expected to unveil its Series 3 watch alongside the iPhone 8 at its annual fall event. Apple is also currently beta testing the fourth version of watchOS, which brings new faces, complications, fitness capabilities, and a revamped Music app. Stay tuned to our watchOS FAQ for all the new features as they arrive. Watch this space: One of the biggest drawbacks to owning an Apple Watch is its heavy reliance on the iPhone. 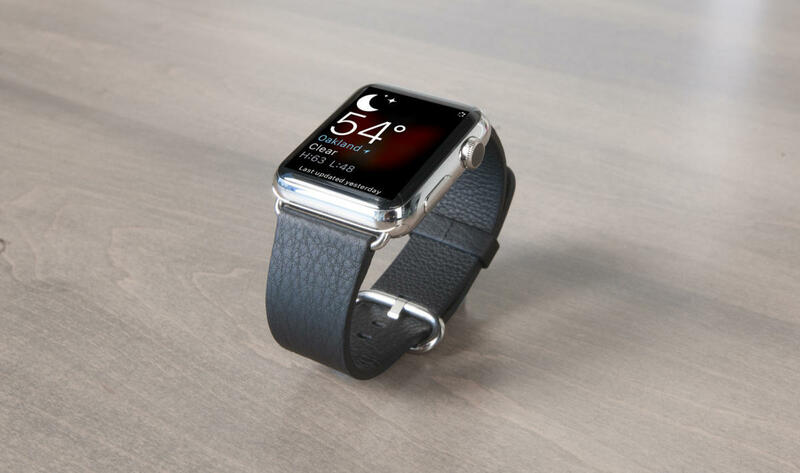 An LTE-enabled watch, especially one that is supported on all four major carriers, would go a long way toward turning Apple Watch from an accessory into a must-have gadget. But we have concerns, chief among them, battery life. The LTE-enabled Android Wear watches we’ve tested all have mediocre battery life, and Apple would need to keep the same “all-day” battery to make LTE useful in Apple Watch. And then there’s the issue of design. Every LTE watch we’ve used has had a hulking frame that dwarves the Apple Watch’s svelte square body, and if LTE makes it too thick or bulky it won’t be worth it. But that doesn’t mean we’re not excited. iPhone independence would open Apple Watch up to a variety of uses and likely give it a giant sales boost (assuming it’s not too expensive). Apple doesn’t divulge its actual numbers for Apple Watch, but Tim Cook said this sales over the past quarter were up 50 percent over the same period last year, so there’s definite momentum. Without reliance on the iPhone, Apple could presumably sell Apple Watch to Android users too, opening it up to a massive new audience. Remember, the iPod didn’t take off until Apple let Windows users get it on the fun, so it’s not a crazy thought.